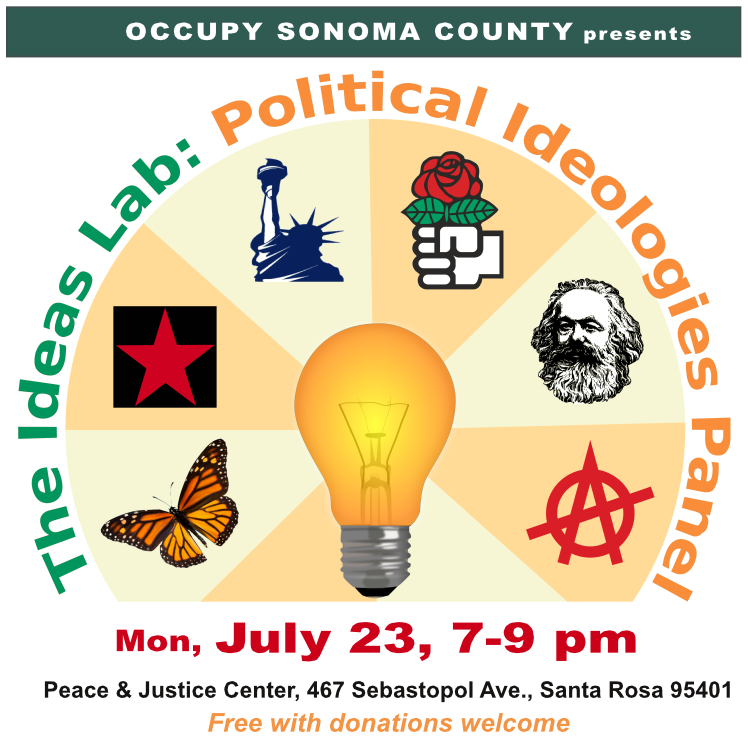 Occupy Sonoma County will present a panel of social philosophers discussing their beliefs ranging from liberal democracy to various forms of socialism and anarchy, gift economy, and Marx. The panel will be moderated by Sonoma State University Sociology Professor Peter Phillips, founder of the Media Freedom Foundation and former director of Project Censored. Admission is free; donations are welcome. Everything we do begins with an idea. When people give these ideas serious thought they can become prevalent cultural ideologies. When people discuss these ideologies with other social philosophers, sparks fly and frequently new ideas, some of which can lead to profound social change, can emerge. This important discussion might alter our perception of what’s possible.